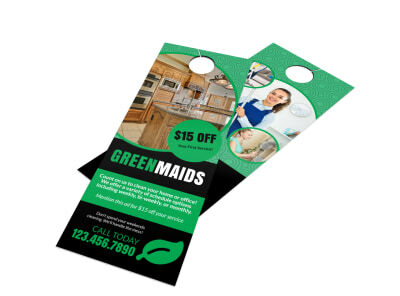 Customize our Cleaning Super Maids Door Hanger Template and more! 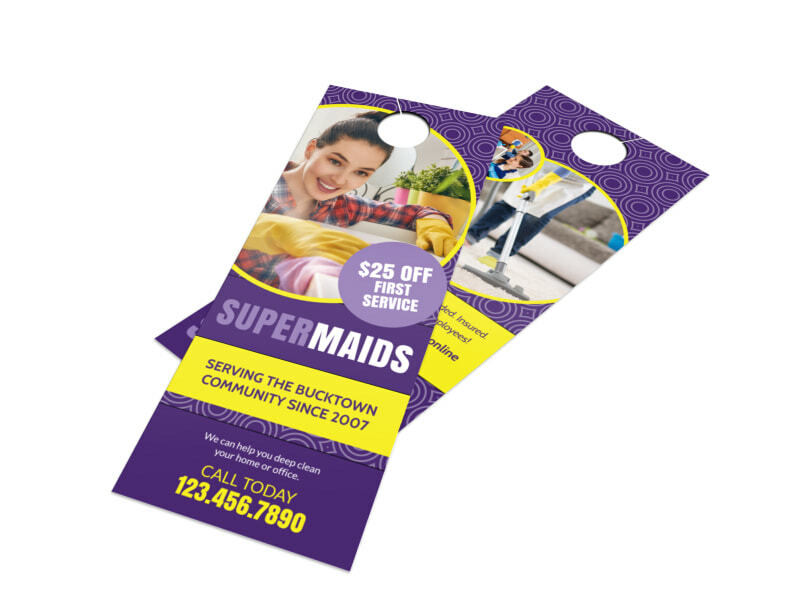 Promise members of your community that you’ll leave their homes sparkling clean with this super maids door hanger. 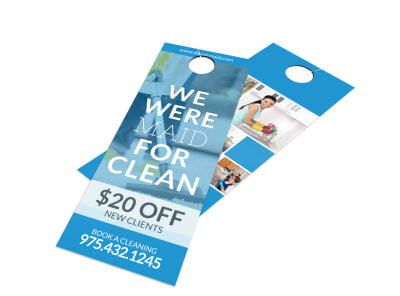 Use our online editor to customize this door hanger template with your business name, contact info, slogan, and more. Print from any printer or send your design to our expert printing service when you’re ready to set down the duster and start hanging this marketing tool from doorknobs to drum up business.